Secret Home Remedy To Lose Belly Fat In A Month! Do you wish to have a flat stomach, just like your favorite celebrities, minus all the extra fat that is not very impressive? If yes, then there is a homer remedy you can follow. Do you feel that no matter how much your exercise or diet, your abdominal fat still refuses to go away? If yes, then we understand how frustrating it can be. Experts say that abdominal fat is the hardest to burn, as there is space for more fat accumulation there and not much muscle growth. 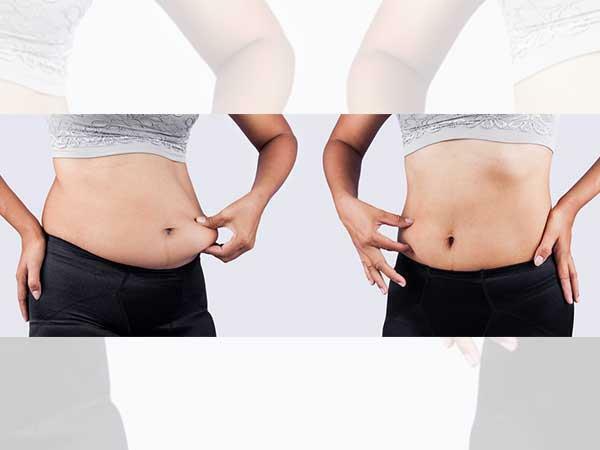 Even professional body-builders and fitness enthusiasts opine that getting a flat, toned tummy can be very challenging. It takes months of diligent practice to attain it. Matters get worse when it comes to losing abdominal fat, if you have a sedentary lifestyle and a desk-bound job. And if you are someone who loves to indulge in unhealthy, junk food eating habits, then it can be quite hard for you to attain a flat belly! Here is a home remedy you can try to lose belly fat.